to reunite hundreds of riders with their cars 50 miles away. 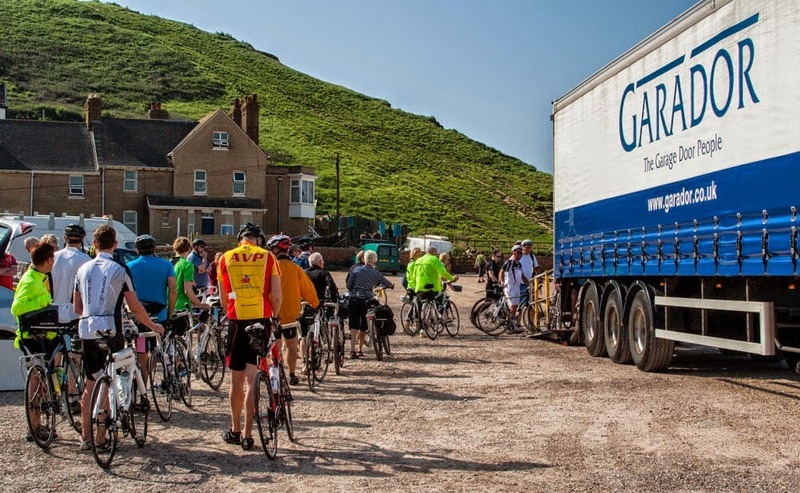 Garage door manufacturer Garador played its part in a recent major charity cycle ride. Over 500 cyclists turned out to raise funds for the Dorset and Somerset Air Ambulance by cycling 54 miles from Watchet Harbour on the north Somerset coast down to West Bay on the south. The problem was that most of the riders had arrived at Watchet bringing their bikes by car and trying to get so many riders and bikes reunited with their vehicles 50 miles away was a logistical challenge. Garador decided it was a job for their distribution team. They provided a huge truck for transportation and also devised a unique trailer and pole system so that the bikes could easily be taken into the trailer and firmly secured for the journey.